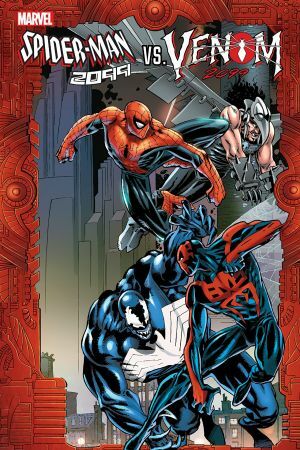 Collects Spider-Man 2099 (1992) #34-38 And Special, Spider-Man 2099 Meets Spider-Man And Material From 2099 Unlimited #9-10. 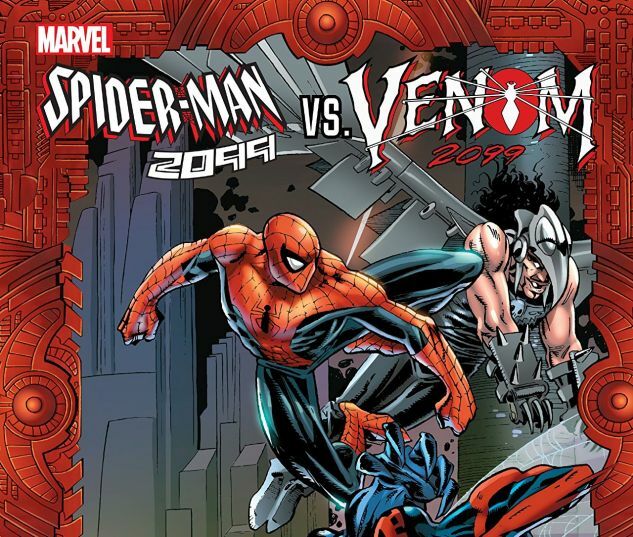 Continuing the original adventures of Miguel O’Hara, the Spider-Man of the year 2099! First, Miguel shares a body-swapping, timeline-tangling adventure with none other than Peter Parker, the ever-amazing Spider-Man of the modern day! But how does the Green Goblin of the far-flung year 2211 fit into the madness? Miguel finally gets back to the future, only to be drawn into the web of Doom — Doctor Doom, that is, who has taken over the United States! How will Spidey react when both President Doom and Alchemax’s Tyler Stone approach him with…job offers? 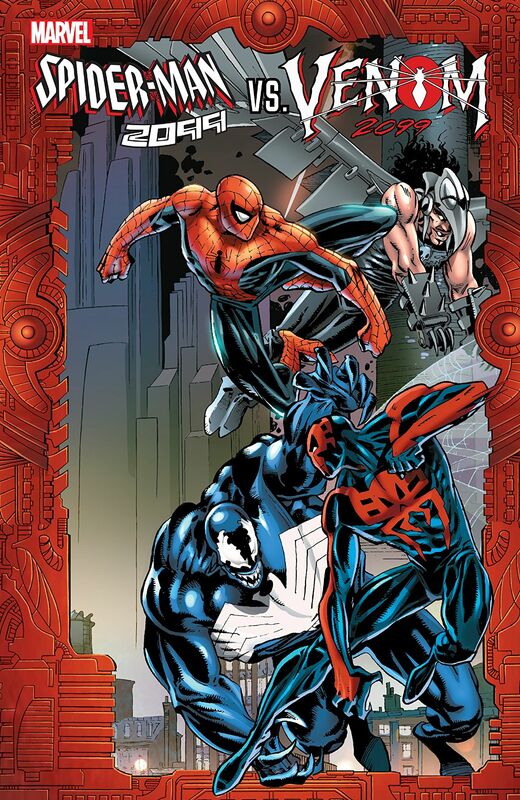 And tragedy strikes when the Venom of 2099 attacks! What is this new Venom’s secret connection to Miguel? Plus: The futuristic wall-crawler faces the Man-Spider, the Impaler, the Chameleon and more!